So I'm sure if you follow my Instagram, a couple weeks back you saw me posting some super cute Fall Fashions from a front row seat at the Cabi Fashion Show. 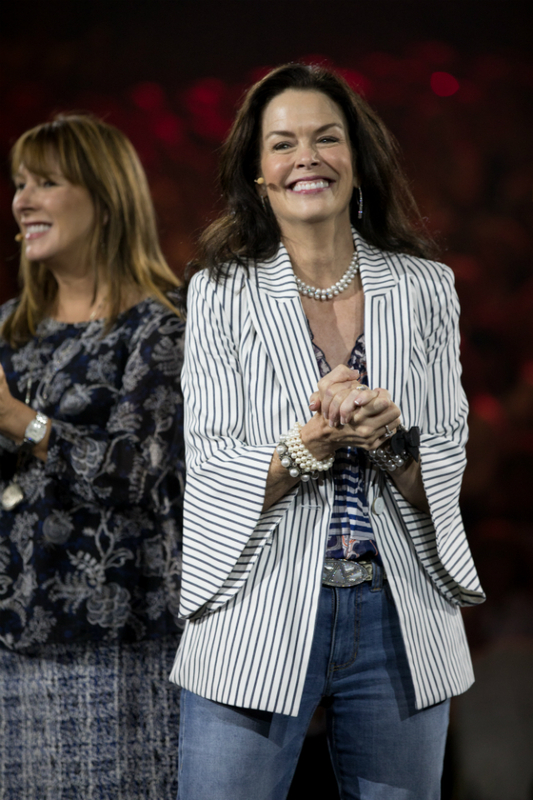 I had the pleasure and honor of attending #CabiScoop in my hometown of Nashville, TN! 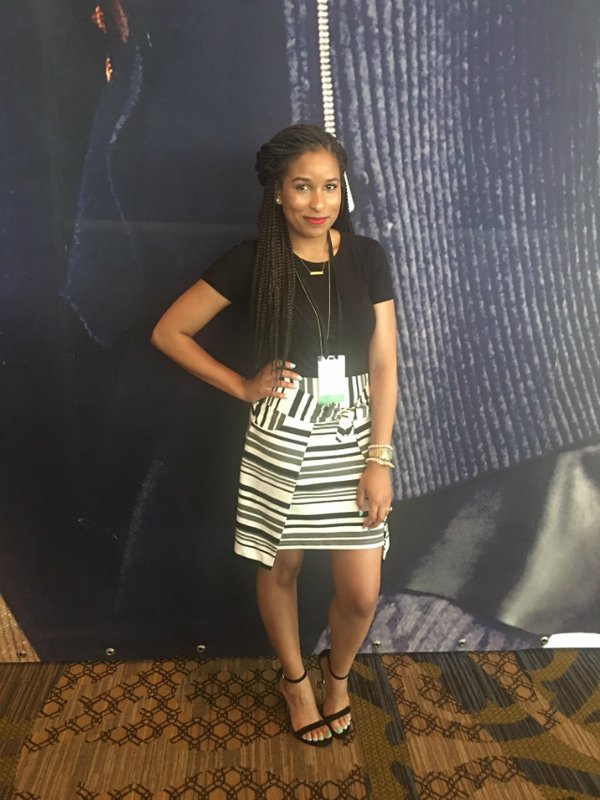 This event was held at the Gaylord Opryland Resort Hotel and it was swarming with stylish women from all over the world! 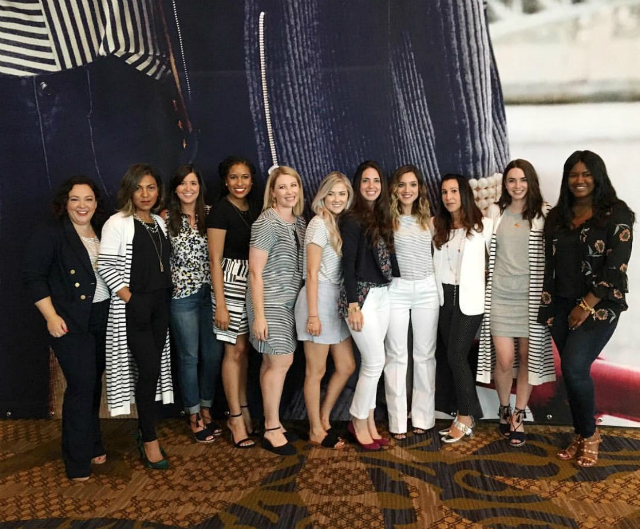 It was such an amazing experience being able to learn more about the Cabi brand, connect with other amazing bloggers, not to mention Cabi spoiled us SO GOOD (but more on that later). Before we get into the actual event itself and why it was seriously so much fun, I'm sure some of you are wondering what in the world is #CabiScoop?! 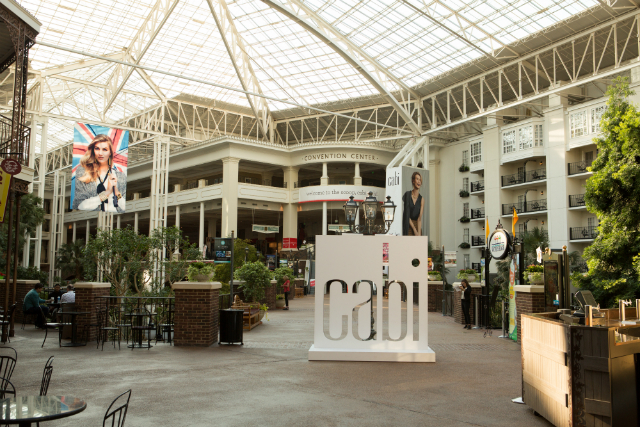 Taking an excerpt straight from the Cabi site, #CabiScoop is "when Cabi Stylists from all over the U.S., Canada, and the U.K. gather to kick off the upcoming season with a few days full of fun, fashion, and training! During this special time together, we celebrate our Stylists’ successes, learn about what makes our Collection special, coach women on developing strong, independent businesses, and most of all…have a blast creating lifelong memories with incredible women." Sounds pretty awesome right? I'm going to be completely honest with you; Cabi is an amazing brand that I have loved working with this year and when they invited me to the fashion show to preview their new fall collection, I was SUPER excited.. but I really had NO IDEA the treat I was in for by attending this event. 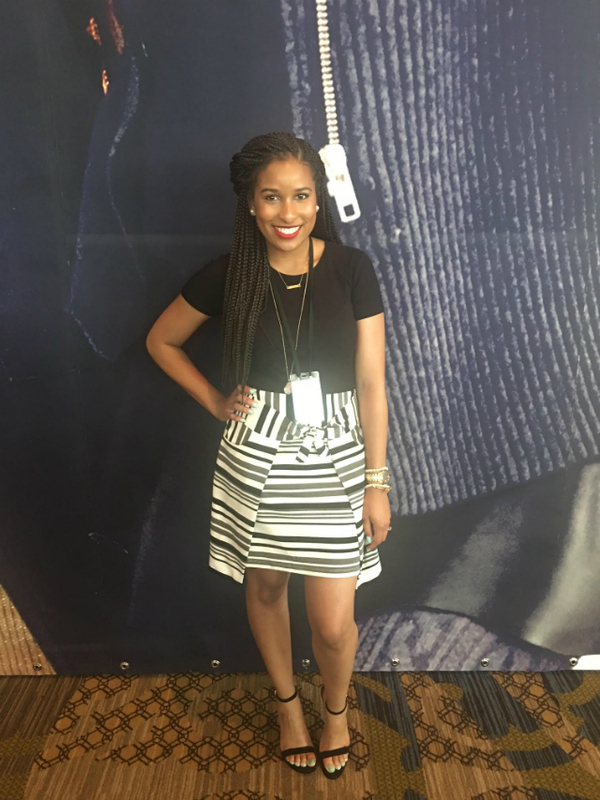 All I knew was that I was getting the opportunity to attend this fashion show, meet some other cool bloggers, and also the Cabi loves that I have been communicating with for months. I was pumped to say the least! Alright guys, go ahead and scroll down to read more about my experience at #CabiScoop and don't forget to watch the video up top! So, my day started out different than most of the other bloggers as I had to fly in from Illinois and go straight to this event! My plane landed at 1:45pm and the fashion show started at 3pm, so needless to say, your girl was putting the peddle to the metal! I hopped off the plane, went to my Mom's to quickly freshen up and change into a CUTE Cabi skirt, and then I was off to Gaylord! When I walked into the Opryland Hotel, I was at a loss for words. It was a COMPLETE Cabi takeover! 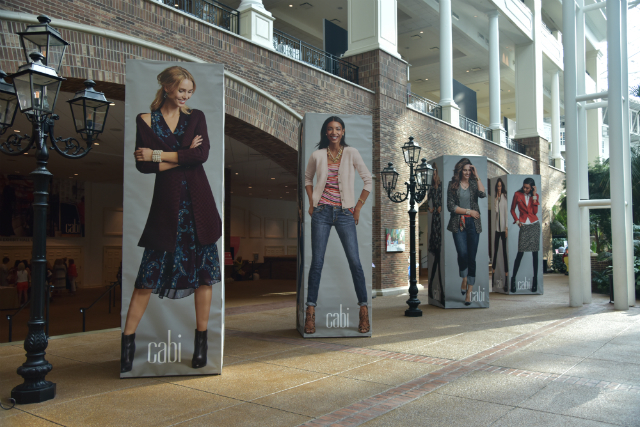 I saw stylish women everywhere I looked and signs of Cabi's presence made me feel right at home. I had the pleasure of meeting and connecting with some amazing bloggers from all different areas. It was like an instant connection with pretty much everyone. If you're a blogger, you understand the importance of hooking up with other bloggers because they understand your day to day better than anyone else. I'm so happy I was able to meet these ladies! So after a quick meet up with the blogger girls and a few pictures (bloggers love pictures), it was time for the Fashion show and I was super excited to see that we had front row seats! You guys, when I tell you that this was more than a Fashion Show! They started off with some cool awards for top Cabi Stylists and I learned SO MUCH MORE about Cabi and it just made me love this amazing company that much more. Cabi is a company that inspires women to #befearless and step out of our comfort zones. If we can do that, we can do any and everything we want to do in life! I was super inspired by the speech that was given by Cabi President, Kimberly Inskeep. Her speech was one of the most memorable parts of the night for me (and her fabulous shoes left a lasting impression as well). So now, I want to get into the FASHION of the evening! Oh my goodness when I say I wanted everything on the runway, I mean it! Cabi really did an amazing job planning out their fall collection. Seriously guys, if you haven't tried any Cabi clothes yet, you're tripping because they are the softest, most flattering, most amazing clothes ever and they look good on every body type! Here's some pictures of some of my favorite looks from the show. Aren't they amazing?! I know, I know! :) I can't wait to show you guys some of the Fall items I got and how I style them. They will be on here very soon! So, after the Fashion Show, Cabi treated all of the blogger girls to dinner at City Winery (told you they spoiled us!) and the food was really good! We were able to taste test lots of wine and we had great conversation over our three course meal. The cheesecake I had for dessert was so amazing I can still taste it! After dinner, we went back to the hotel and it was time for SHOPPING! Y'all I got SO MUCH STUFF! Cabi has just been so amazing to me and I feel so blessed because the aura in the room was just un-explainable. To be in the presence of a company that treats everyone, including the bloggers, so great was just an amazing feeling and I hope they invite me back again! I still feel super inspired. What do you guys think of the Fall Collection?? You should definitely head on over to Cabi right now and check out all of the amazing pieces from this collection before it is too late! Looks like such a fun event! Love your look! Love it! Looks like a fun event! Wow this looks like such a fun fashion show! So many things are catching my eye! Wow! This event looks like so much fun! I love the fashionable pieces -- perfect garment for fall trends! I honestly LOVE and would wear every single one of those outfits the models are wearing! It looks and sounds like you had an amazing time! What a fun show! Your outfit is great and so perfect for this event-- glad you had a great time! Looks like a lot of fun and love your skirt!! Nashville seems like such a fun place!! This fashion show looks awesome!